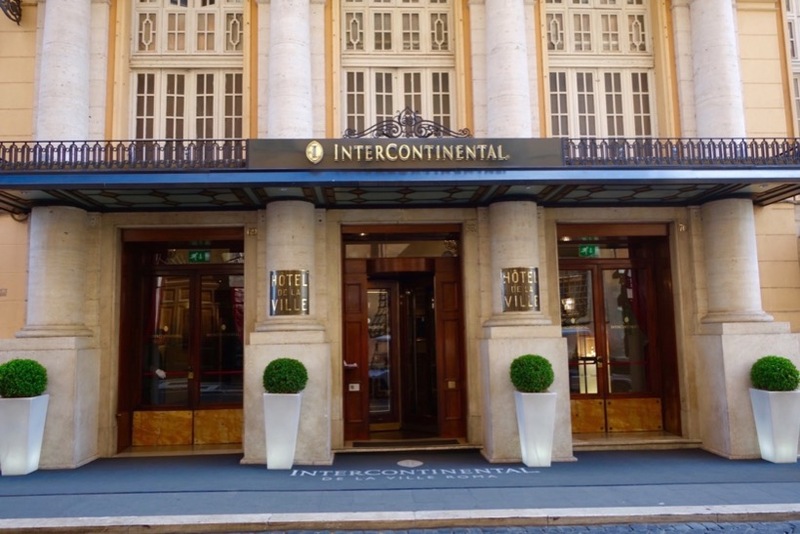 Hotel Review: Intercontinental De la Ville Roma - Holy Smithereens! 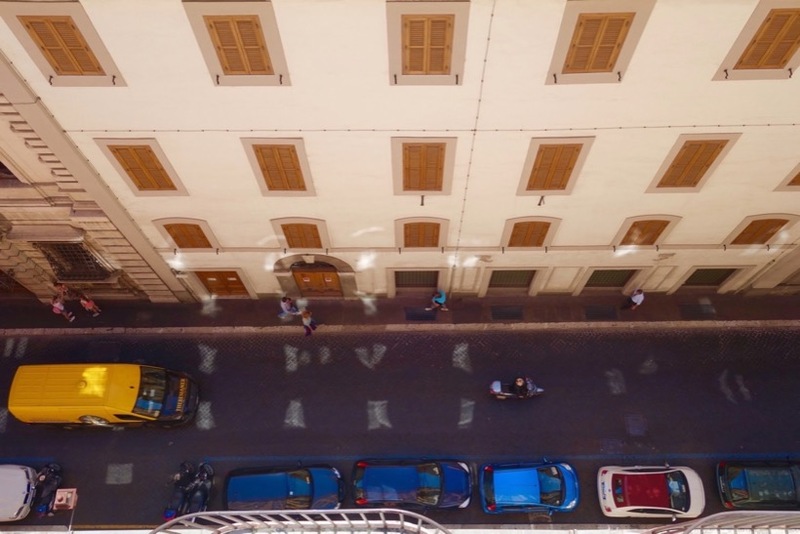 When looking for a hotel in Rome, location is absolutely important because Rome is a city made for walking and self-explorations (once you’ve done the main tourist attractions). 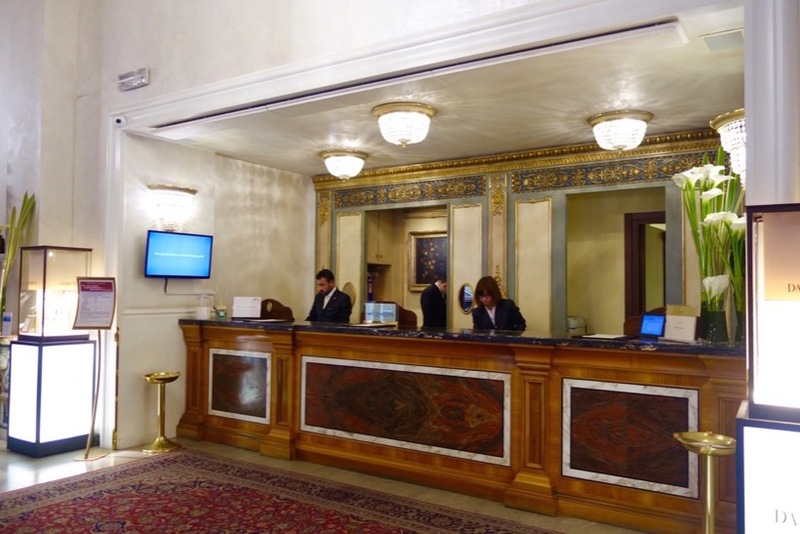 The great thing about Rome is there are quite a number of hotels that offer both location and luxury, and Intercontinental De la Ville Roma is one of those which has a highly coveted location, and also offers fantastic service and comfort at the same time. 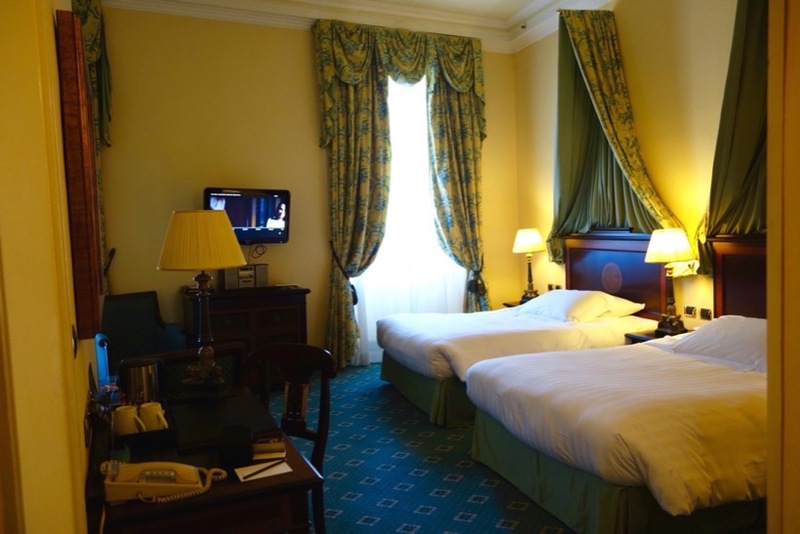 The history of Intercontinental De la Ville Roma dates back to the 18th Century, when it was a religious building and housed the Queen of Poland. It officially opened as a hotel in 1924, with Hungarian architect József Vágó making sure there were modern elements combined with the original. Today, the Intercontinental De la Ville Roma is indeed still a building with a slight combination of modern pop art with elements of the original Hotel de la Ville evident. 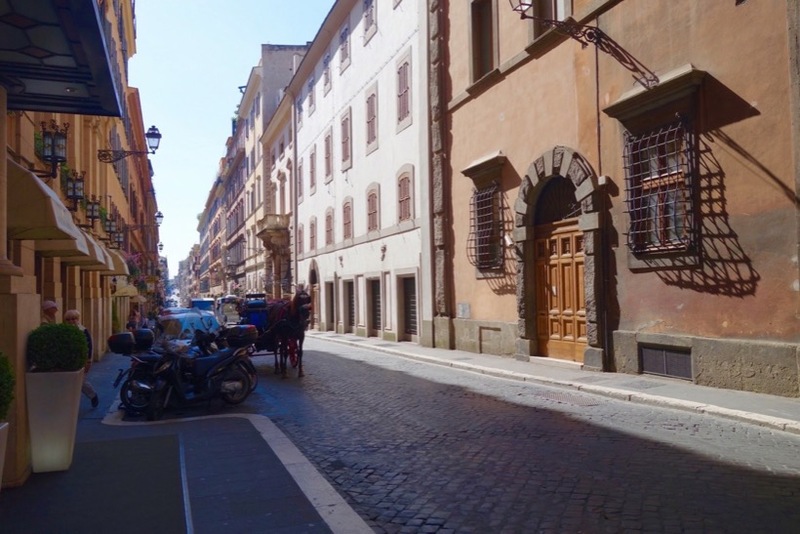 It’s common to hear the clip-clop of the horse drawn carriages that run up and down the charming cobbled street where the hotel is. But this is not even the best part. 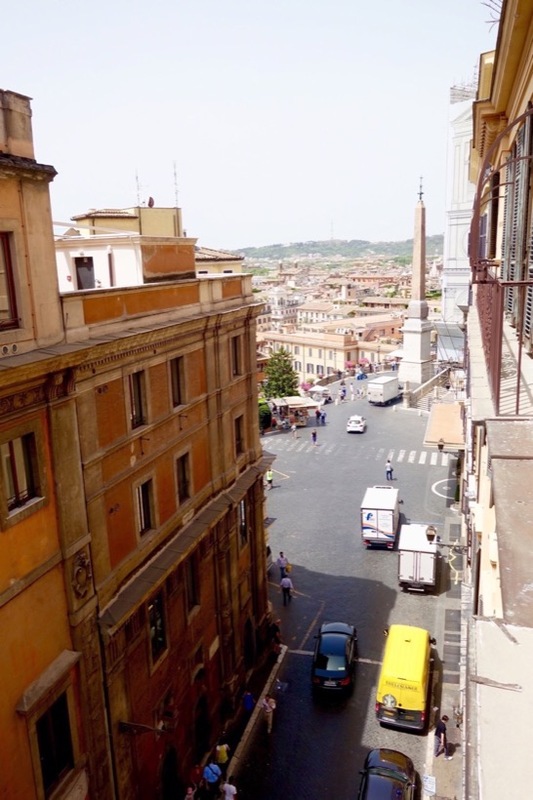 Opening the balcony windows of my room, I saw that the famous Spanish Steps were really just a few steps away. 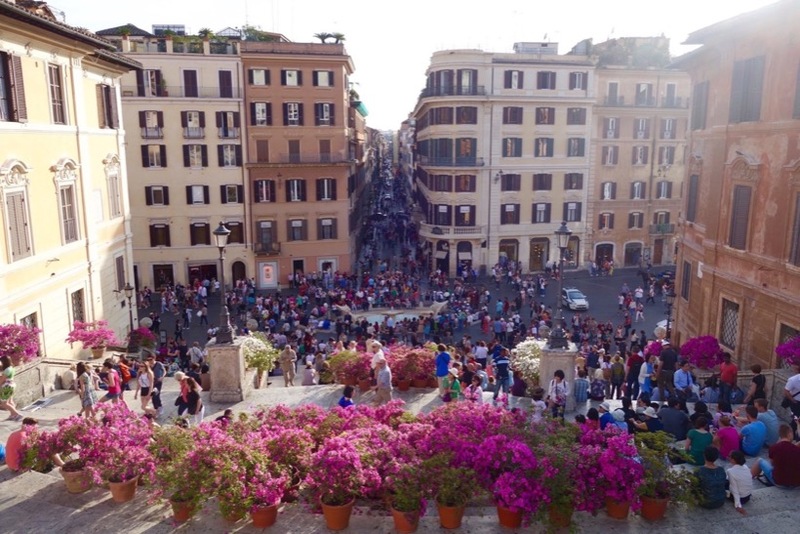 The Spanish Steps become quite crowded in the late afternoon just before sunset, but when staying at the Intercontinental De la Ville Roma you can always frequent the steps any time of the day. At the bottom of the steps lie Fontana Della Barcaccia, along with the designer shops. So it’s really a tourist-friendly area. 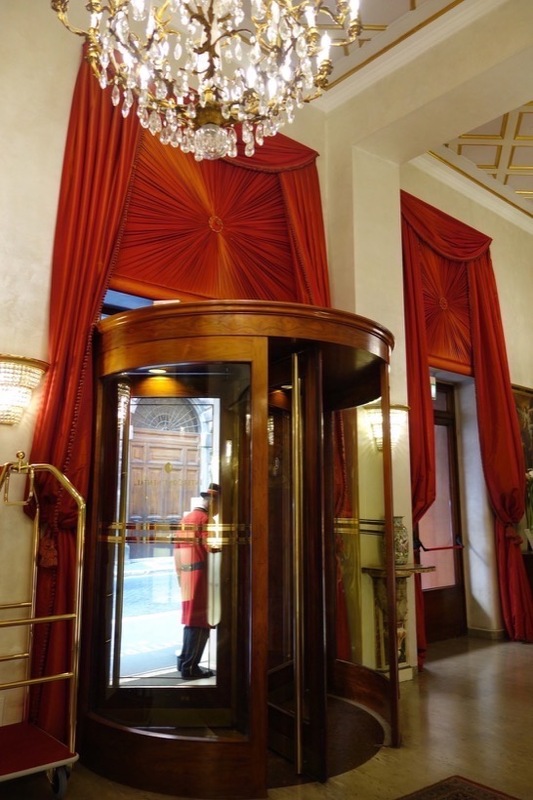 There’s always a flurry of doormen either assisting you or simply greeting you whenever you enter and leave the doors of the hotel. The check-in desk greets you immediately upon entering. We arrived quite early (around 8:30 am) and understandably, our room wasn’t ready and we were asked kindly to wait or explore the streets and return in an hour or so. 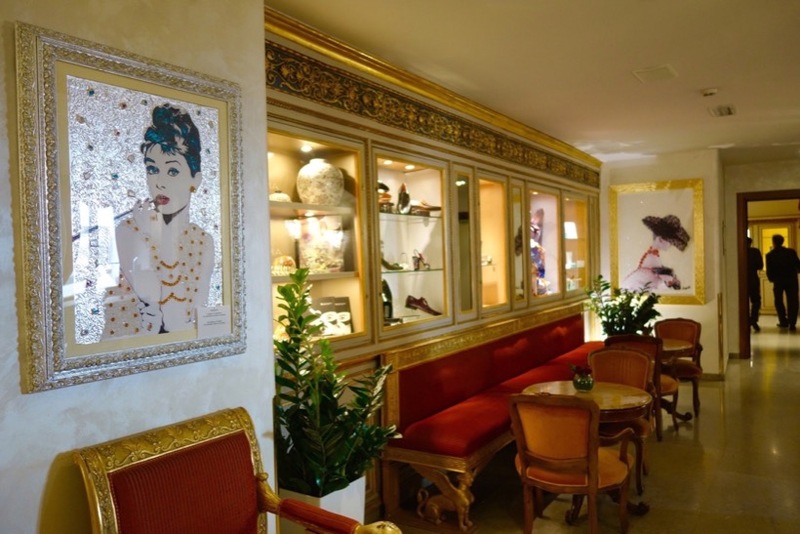 We chose to wait at the lobby where the display shows the mix of contemporary and classic design. Wi-Fi is complimentary (and they also encourage you to sign up for IHG Rewards program, where you immediately get complimentary Wi-Fi). Check-In overall was efficient and friendly. We only waited less than an hour before our room was ready. There are lifts , though as expected from traditionally old buildings, they are quite small (maximum 3 and it will start to be claustrophobic). This didn’t prove to be a problem with luggage though as our bags were with us in the room in less than 5 minutes. Apart from a working desk, the room also extends to a living area. On my last day in Rome, I felt a little under the weather as all the travelling seemed to have caught up with me. And though the Intercontinental Rome is surrounded by several restaurants, I decided to lie-in bed and order room service. Room Service at Intercontinental de la Ville Roma. Pizza in Bed! 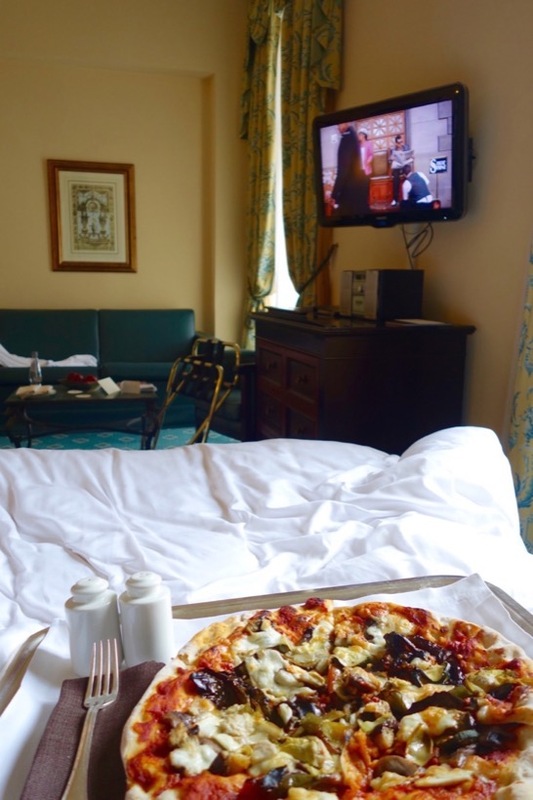 At that stage, there was nothing more indulgent than having pizza in bed and watching MTV… in Rome. The pizza was quite good, I had a vegetarian one (artichokes, sundried tomatoes, eggplant, mushrooms) and it’s best described as a cross between a Roman style pizza and a Napolitana style. The crust was definitely Roman, but the middle part was deliciously soft and brimming with toppings. Room service costs an extra EUR 12 but this was well worth and spent. It’s a marbled bathroom with a bath that stands as a shower as well, with a very generous supply of fluffy towels and robes. There is also a weighing scale (which I pretended not to exist, after being in a 2-week cruise!). 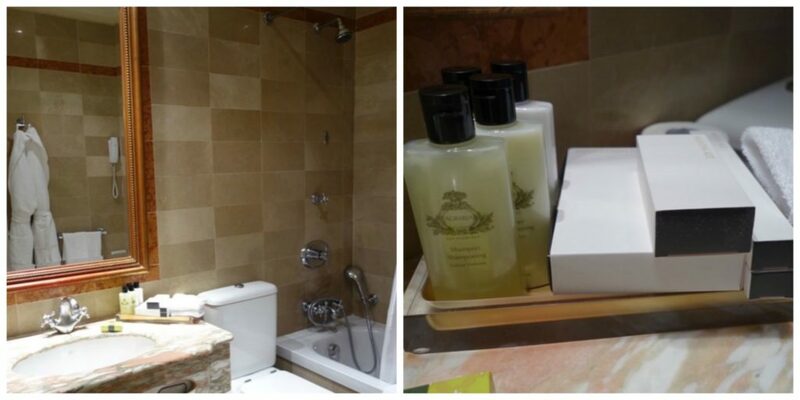 The toiletries are from San Francisco-based brand Agraria (Lemon Verbena). Open for lunch and dinner, Terrazza Roma is Intercontinental de la Ville Roma’s 6th floor terrace restaurant. 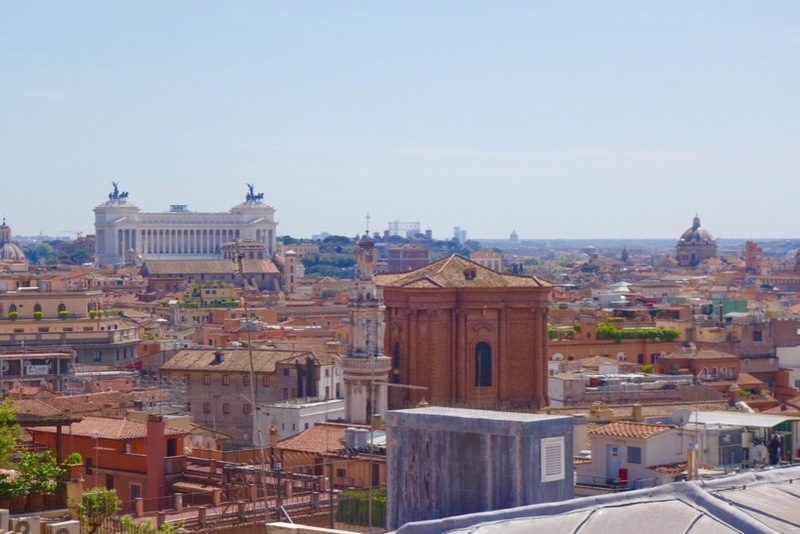 It’s been newly renovated and has a magnificent view of the Eternal City. How many icons of Rome do you see in the photo? 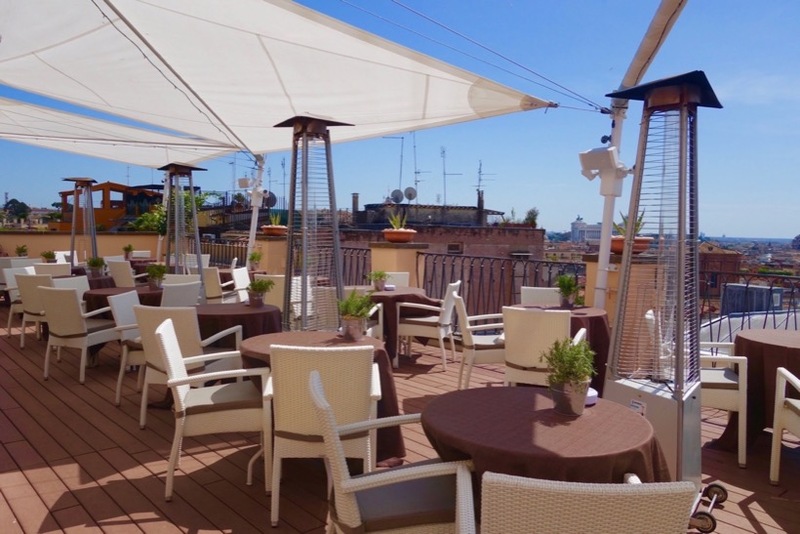 It’s not surprising that Terrazza Roma is popular for after work drinks. I found the service warm and efficient. Davide from front desk stood out for his enthusiasm to help and prompt action, ensuring I had a smooth and late check out. Also on my departure, my airport pick up was about 10 minutes late and Gabriele from the concierge desk showed empathy and proactiveness by calling my transfer company (even without me asking) to ask for the car’s whereabouts. Email correspondence had also been very quick and efficient, so I know that the guests’ feeling of assuredness begins even before they step foot in the hotel. Overall, I’m very satisfied with my stay. 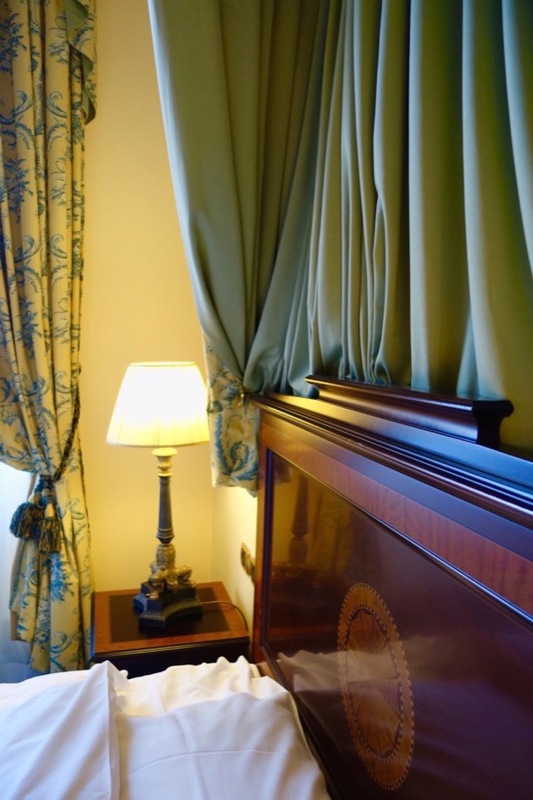 The Intercontinental de la Ville Roma ticks all the basic aspects of my hotel requirement – convenience of location, comfort, and most of all, warm and efficient service. Do you love getting room service? 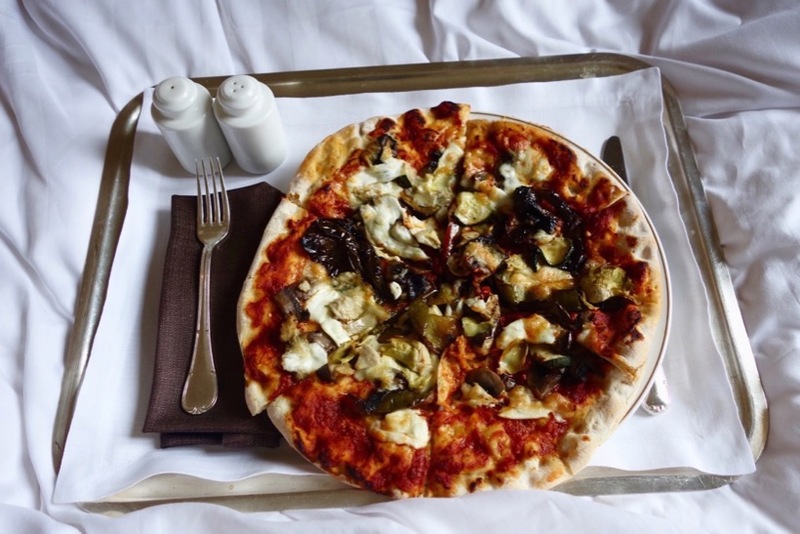 What’s the most indulgent room service you love to order? 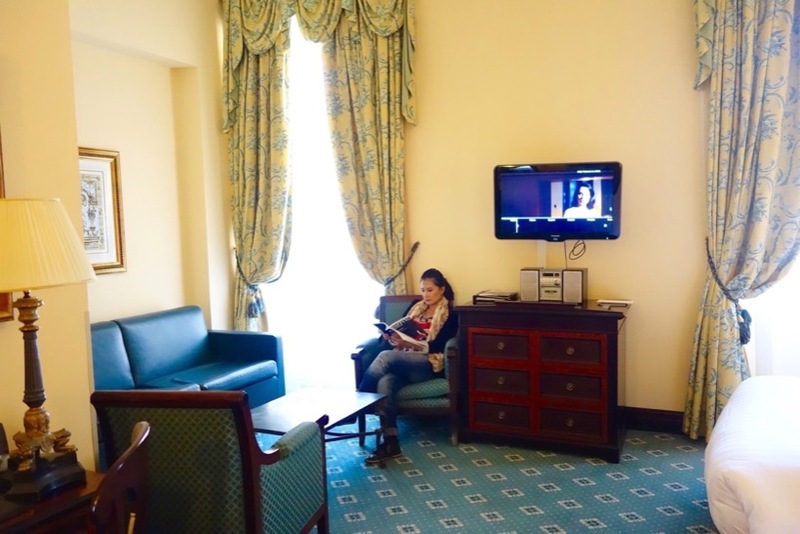 I was a guest of Intercontinental de la Ville Roma, but all thoughts and opinions are my own. A classic room rate at the Intercontinental de la Ville Roma begins at EUR 221.00 per night and Executive Room rates begin at EUR 383.00 per night. Hi Suze! This was about a month ago, I just wrote about it now 🙂 Such a prime location indeed! Glad you had a great time. Great article as usually. You know what, I already noticed it before but I never commented, I really like your Disclaimer and Factbox part. This is very honest and transparent behavior, it’s nice for readers to know it and I think it will inspire myself for my own blog (today I don’t mention it)!